To solve the problem that the Chisels-Blocks show as pink plane, set the Connected Texture Setting in Optifine to OFF, then you have to restart your game, because minecraft have to reload the model renderers, than everythink should fine. CTM and Otifine break the Game in ATLauncher, because the Launcher load the binarys of Minecraft different to the other Launchers, I recommend to use the original Minecraft launcher. Hope it helps, have a nice Day ^^. CTM is a required dependency for Chisel now. If you don't have CTM, Chisel won't work correctly. I think the version of CTM that OptiFine includes should work as well. I had to remove CTM because it was causing a client crash in conjunction with Thermal... And of course now Chisel textures are broken. Anyone have all three working together? 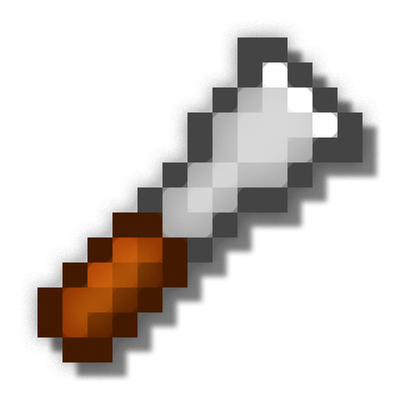 whats the difference between this and chisel 2? It's a newer version port of Chisel 2. Hello, first off great work to the people maintaining it. 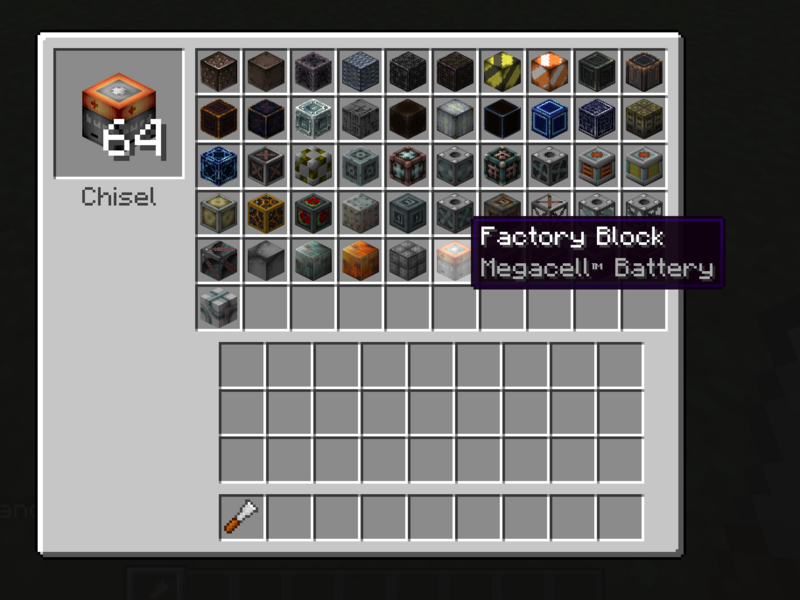 Question what happend to the iChisel recipe i cannot seem to craft it. Mod Pack used Foolcraft 3. if this is not done by this team. where might i look to enable this again? Edit: I figured it out they removed and hid the recipe via crafttweaker. Hmm I remember some very pretty Arcane Block textures from Thaumcraft. Will they be added for 1.12.2? Or was that an addon? I remember iron bars amongst other things being chiselable when I played with this in 1.7.10, did that get removed or was that some addon mod I had but can't remember? Those blocks are WIP(work in progress). You should see them in the chisel creative tab with the missing texture. Given the fact that texturing the panes would be trivial under normal circumstances I'm thinking that the developers have some fancy CTM plan for the panes that currently is not viable with the current CTM implementation. Hopefully we'll get to see it in the next release. Does this not work with Forge Microblocks in 1.12.2? If so when will you be planning to implement the compatibility?